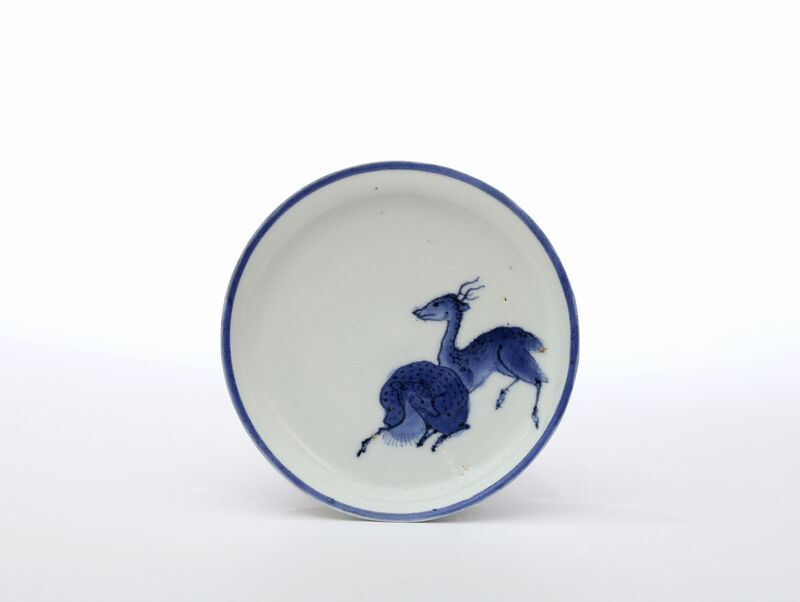 Decorated with two deer in underglaze blue, the flattened edge of the rim also in underglaze blue. 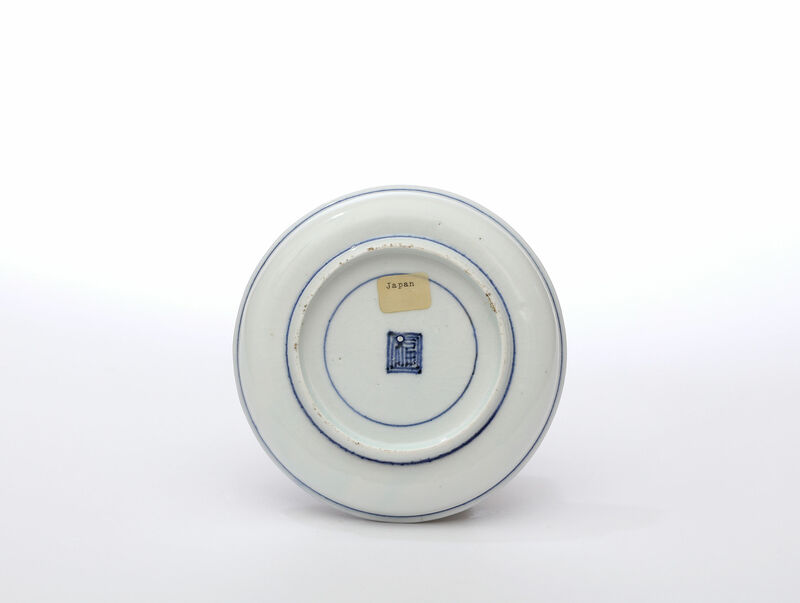 This type, that has until recently been called to as Ai-Kutani, is now attributed to the Kakiemon kilns since similar pieces have been excavated in on the kiln site. 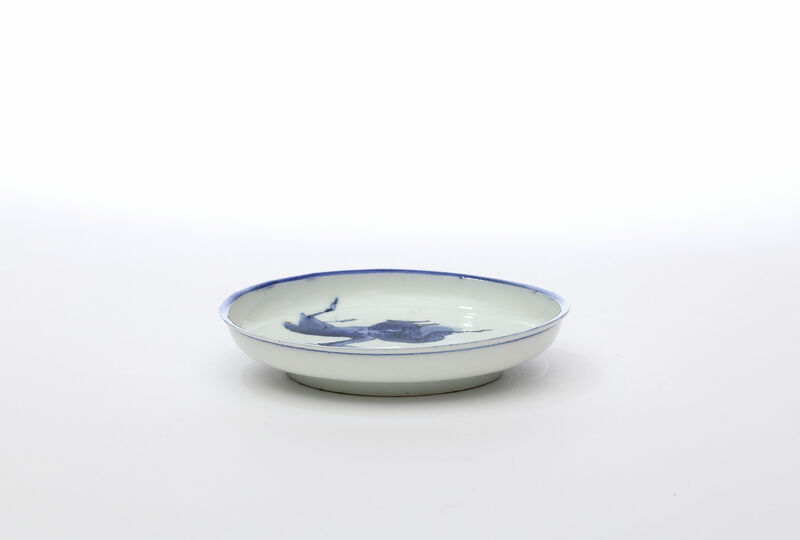 Condition – Two small hairline cracks, a fleabite chip to the rim and a slight grazing to the glaze.